Kennametal Recruitment 2019: Kennametal is Now Hiring..!!! So, candidates who have completed their graduation in B.E, B.Tech streams they must refer to this page. Moreover, they are looking for freshers to appoint them as a Junior Design Engineer. Check the Kennametal Eligibility Criteria 2019 from the upcoming sections. Also, who have a minimum of 2 years of experience can directly apply without querying. Also, we have given the direct Online Registration link to apply online for the Kennametal Recruitment 2019 Drive. If you get qualified in the entire Kennametal Recruitment Process 2019 you will be selected finally to the organization. Also, they are offering high pay for the Kennametal Jobs In Bangalore. 1.4 How To Apply For Kennametal Recruitment 2019 Drive? Knowledge on the manufacturing process, Different types of materials used – like steel, tungsten & minerals. Good communication skills & teamwork. Kennametal Inc is a premier tooling solutions supplier in the world with operational excellence throughout the value chain and best-in-class manufacturing and technology. Kennametal strives to deliver superior shareowner value through top-tier financial performance. 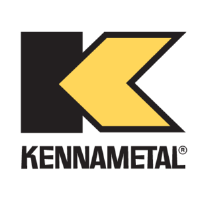 Furthermore, Kennametal is the market leader in North America in metal-cutting tools and is second in Europe and worldwide. It is the undisputed global market leader in tools for the mining and highway construction industries. And also, the Kennametal is represented in more than 60 countries. Kennametal operations in Europe are headquartered in Furth, Germany. Kennametal Asia Pacific is headquartered in Singapore. How To Apply For Kennametal Recruitment 2019 Drive? Candidates who are about to apply for the Kennametal Recruitment 2019 Drive must and should have to follow the below mentioned procedure. So that you can easily apply and can attend. Visit the official site of the Kennametal @ www.kennametal.com. Then, go for the Kennametal Careers section for the latest Kennametal Jobs. There you have to select the required fields as per your criteria. Based on it the Current Job Openings will be displayed. So, click on the Apply Now button that shows you the latest Kennametal Recruitment 2019. Fill all the details and upload the documents if necessary. Submit the page and then download your application if any. Like all the Kennametal Recruitment 2019 information? then, check our Freshers Now page to get all the latest information and exciting news. Also, bookmark us by Ctrl + D to get single push notifications. If you allow notifications from our site, then you will be updated with the current affairs.